SOLIDARITY to all of you who are out there suffering with the flu right now. I just rounded the corner from wait-am-I-going-to-die to no-more-fever-but-coughing-all-the-time and man, being sick is exhausting. I’m so glad to move on to better things, like Super Bowl Sunday and THE BEST SUPER BOWL FOOD. 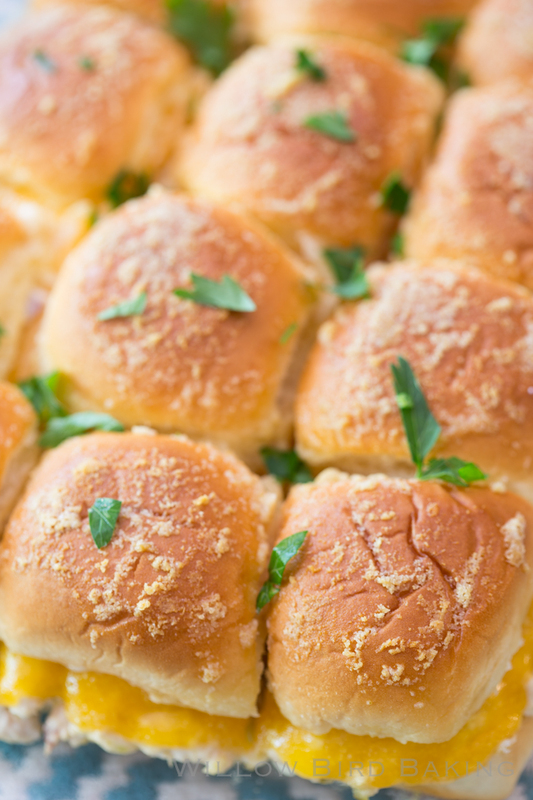 I made you the most delicious, cheesiest, easiest little Tuna Melt Sliders! 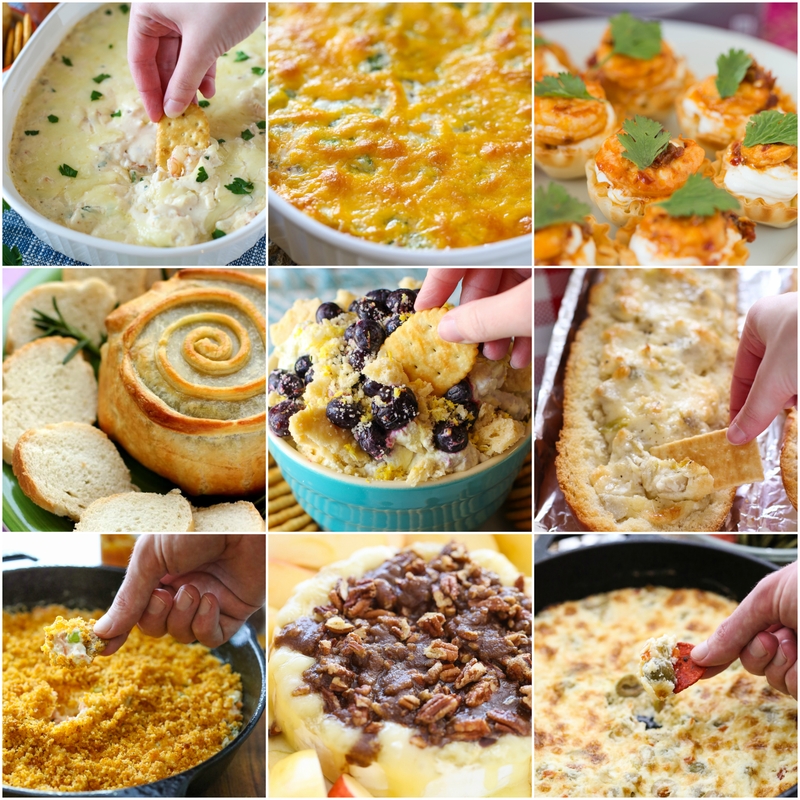 I also thought I’d compile some of my other faves in the Best Super Bowl Food List. 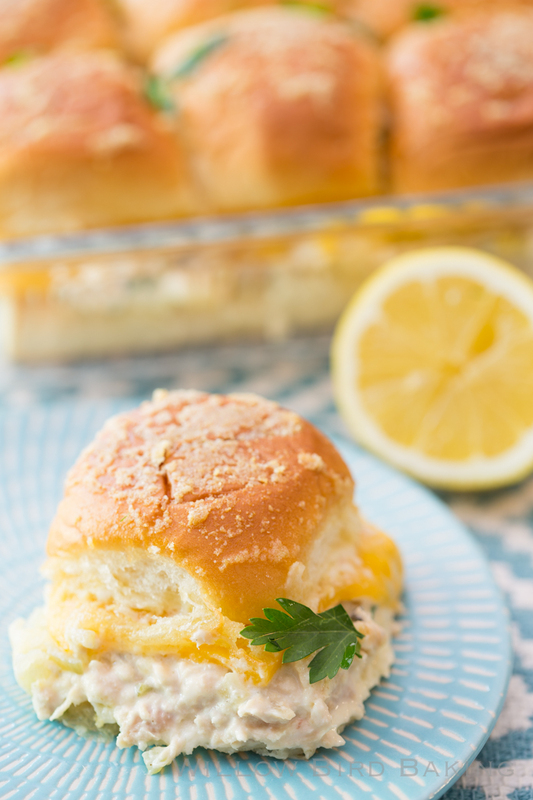 These quick and easy Tuna Melt Sliders are so cheesy and delicious -- and perfect for game day! Feel free to prepare the tuna salad in advance and then assemble the sliders just before game time. Preheat the oven to 350 degrees F and spray a 9 x 13-inch baking dish with cooking spray. In a medium bowl, break up the tuna. Add onion, parsley, mayonnaise, mustard, a squeeze of lemon juice, relish, and crushed crackers. Stir to combine and then taste. Add pepper or more lemon juice as needed. Stick this in the fridge to chill. Cut the rolls in half and spread mayonnaise on both the top and bottom half. Place the bottom half of the rolls in the prepared baking dish and place a scoop of tuna salad onto each roll. Top this with a layer of cheese slices and then the top half of the rolls. 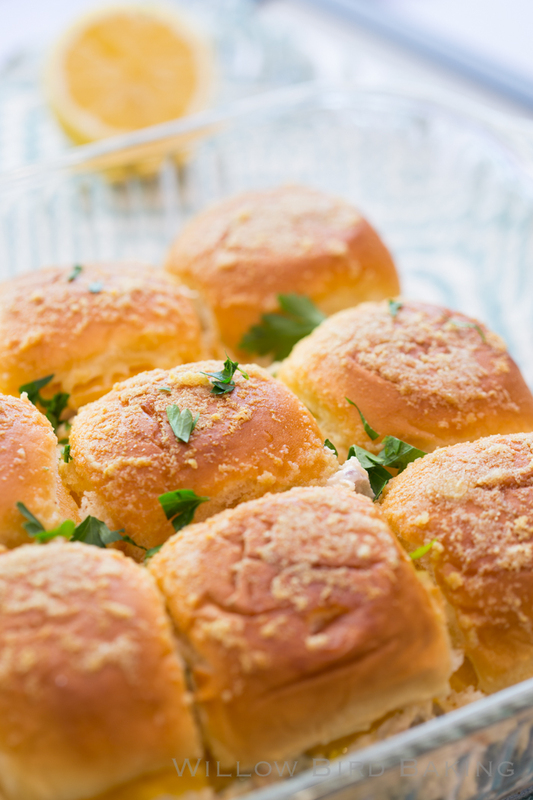 Whisk together the mustard, melted butter, and onion powder and pour the mixture over the rolls. Cover them with foil and let sit for 10 minutes. Bake for 10 minutes or until the cheese is melted. Uncover and continue baking for 2-3 minutes until the tops are slightly browned. Let cool slightly and serve warm.